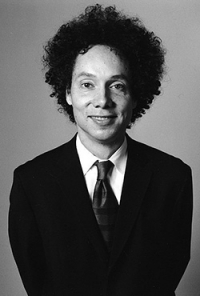 Malcolm T. Gladwell, CM (born September 3, 1963 in Fareham, Hampshire, United Kingdom) is a Canadian journalist, bestselling author, and speaker. He has been a staff writer for The New Yorker since 1996. He has written five books. All books were on The New York Times Best Seller list.